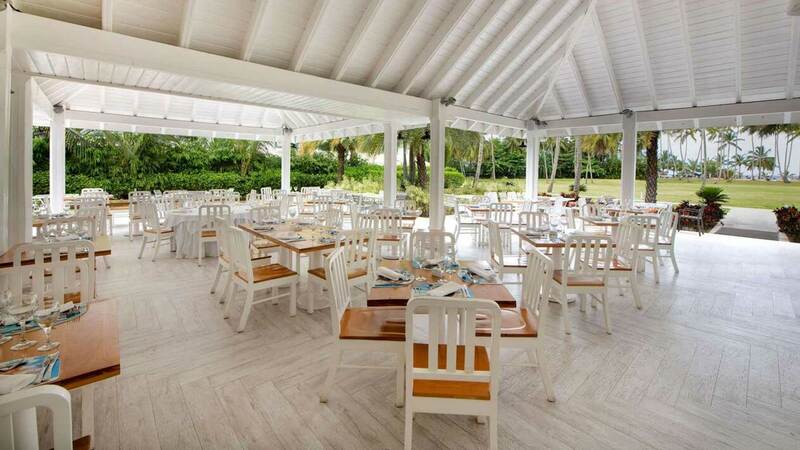 Prepare to enjoy upscale dining and beverage service that exceeds all of your expectations. Order à la carte at our three on-site fine dining restaurants, each offering a dizzying array of fresh and innovative dishes. Also, unlike most all-inclusives, you’ll never need a reservation. And 24-hour a la carte room service? It’s included! Enjoy adult refreshment where and when you want it, from relaxing on the beach, to soaking up the chic ambiance in our lounge. And our cocktails are made with brand name liquors. 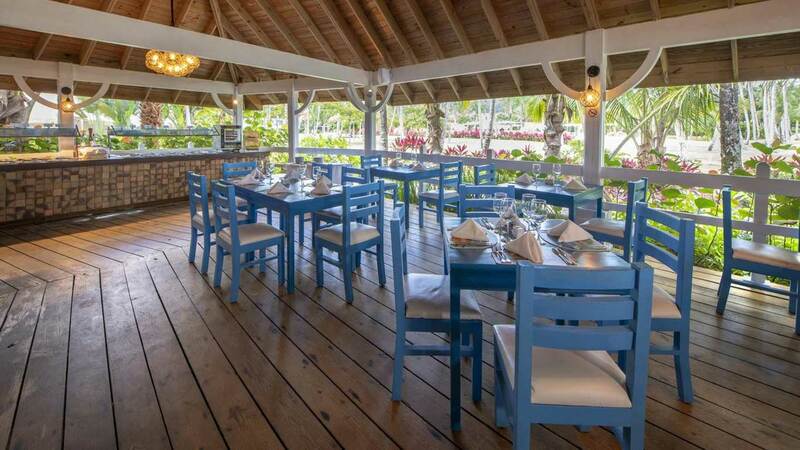 When you are craving fresh ocean delights, head to Mar y Fuego for delicious à la carte, grilled-to-order seafood. The hot spot for daytime dining, Le Marché offers market style dining options from various specialty stations, with everything from build-your-own breakfasts, to pasta, pizza, salads, sandwiches and more. As the name implies, Fusion combines favorite international tastes into new and creative specialties. 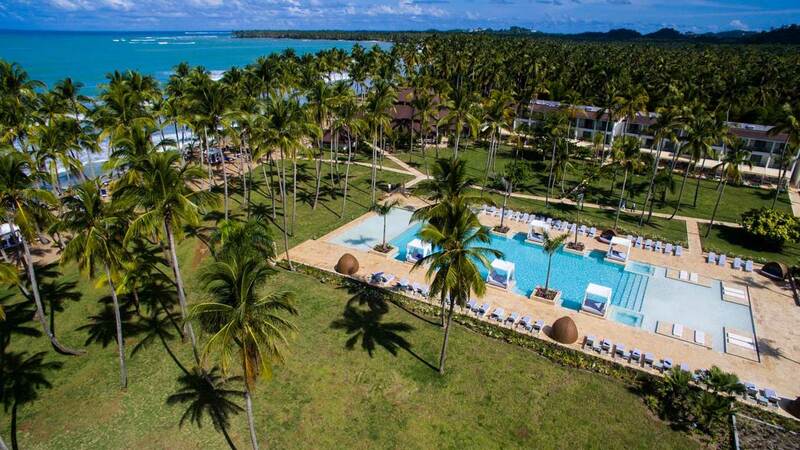 Las Terrenas is known for its Mediterranean flair. 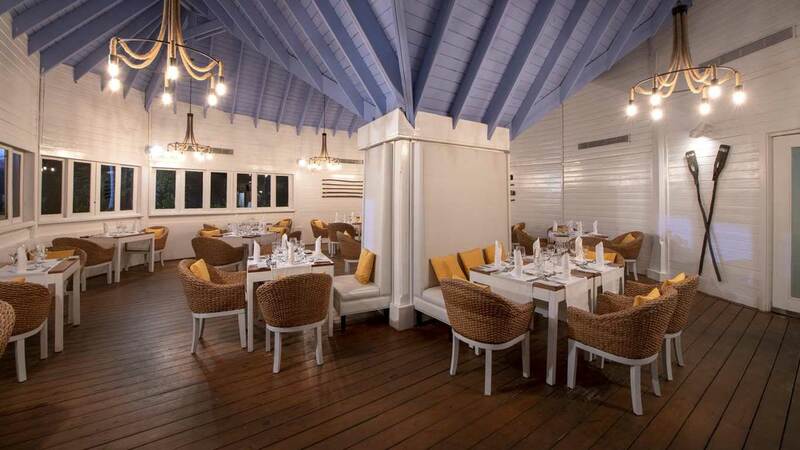 This a la carte restaurant brings you new takes on Mediterranean specialties, with a local flair. An eclectic take on the modern bar and cocktail lounge, with a vibe that heats up as the sun goes down. And our guest DJs will really help get your party started. 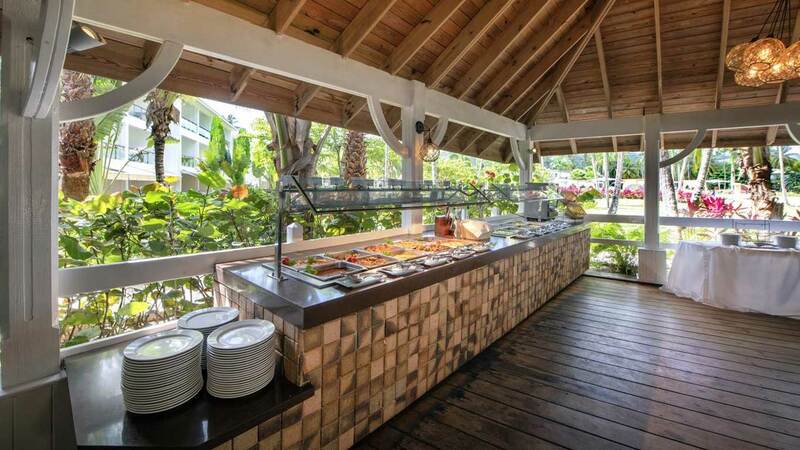 Our oceanfront beach bar is the idyllic setting to sip drinks and enjoy a variety of snacks, including pizza from our brick oven.